Masterclass numbers will be limited. For information / registration book by clicking the ‘add to cart’ button above. Brian Mc Grath – Banjo. From Brookeborough Co. Fermanagh Brian started playing music at 5 years, starting on accordion and piano, and progressing to banjo in his teenage years. Brian has played in many bands and groups including; Dervish, Four men and a Dog, The Sean Keane Band, and At the Racket. He currently plays in De Danann and has played on over 200 albums to date, and is now a very much sought after accompanist and soloist. Brian also travels the world giving workshops and masterclasses. Alec Finn – Bouzouki. 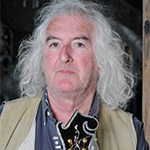 A founding member of De Danann, Alec has been integral to the arrangement and production of all the group’s albums and live performances. He plays a round-backed Greek bouzouki; one of the older style trixordo three course (six string) instruments tuned DAD. He has taught master classes at; The Irish World Academy of Music in the University of Limerick, the Zouk Fest in New Mexico, and at the Catskills Festival of Music in New York, accompanied by Mary Bergin. 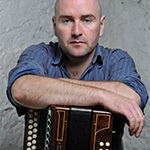 Derek Hickey – Button Accordion. From Adare, Co. Limerick, Derek has been playing music since the age of ten. At 18 he joined the band Arcady and at 21 De Danann. He recorded two albums with the band during this time. In addition to performing, Derek is a regular tutor at The Irish World Academy of Music and Dance in the University Limerick. In his rich and varied performing experiences, he has shared the stage with some of the world’s greatest talents including Stéphane Grappelli and The Rolling Stones. Kevin Crawford – Flute. Born in Birmingham, England, Kevin Crawford’s early life was one long journey into Irish music and Co. Clare, to where he eventually moved while in his 20’s. 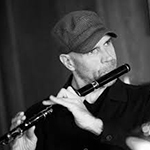 He was a founding member of Moving Cloud, the Clare-based band who recorded such critically-acclaimed albums as Moving Cloud and Foxglove, and he has also recorded with Grianin, Raise the Rafters, Joe Derrane, Natalie Merchant, Susan McKeown and Sean Tyrrell. Kevin appears on the 1992 recording, The Maiden Voyage, recorded live at Peppers Bar, Feakle, Co. Clare, and appears on the 1994 recording, The Sanctuary Sessions, recorded live in Cruise’s Bar, Ennis, Co. Clare. 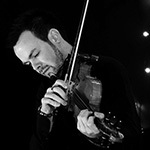 Ronan O’ Flaherty – Fiddle. Ronan hails from Galway City. At the age of nine he started playing fiddle. 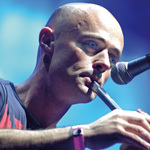 He recorded a duet album with Co. Clare concertina player Edel Fox in 2006 and has collaborated on various other albums. 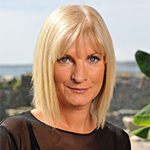 As a native Irish speaker, Ronan works extensively for Irish language TV channel TG4. 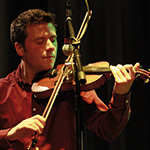 He also teaches music in Galway City and the surrounding areas passing on his talent to young fiddle enthusiasts. Ronan also spends considerable time travelling worldwide teaching music workshops. 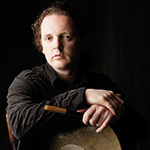 Neill Lyons – Bodhrán. Neill is from Dublin’s Northside. He learned his music from piper Mick O’Brien and his wife Fidelma. He has played and toured with many bands including; Delos, Sessions from the Hearth, the Gavin Whelan band, and In 1999 played on Ronnie Drew’s album ‘The Humour is on me Now’. 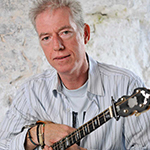 Following his critically acclaimed solo album ‘Skins and Sins’ in 2008, he has appeared with; Altan, Damien Dempsey, Slide, and The Bonnymen. Neill is in great demand for live performances and recording in his native Dublin. Steve Cooney – Guitar. Born in Melbourne, Australia, he moved to Ireland in 1981and soon after joined Stockton’s Wing as their bassist. Since then he has popped up all over the place, with a major contribution to Sharon Shannon’s first album, and performances and recordings with Dermot Byrne, Altan, Martin Hayes and others. Steve is highly respected as one of the leading accompanists in traditional music to-day. Steve is currently a regular member of the modern day Stockton’s wing. Brian Finnegan – Whistle – WORKSHOP SOLD OUT. From Armagh city Brian is widely regarded as one of the true pioneers in Irish music. 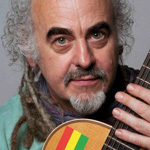 Front man with the legendary Flook for over 16 years, he has toured the world and recorded with many artistes. Brian’s most recent album, ‘The Ravishing Genius of Bones’ was released in March 2010 and coincided with the formation of his new quartet KAN. He tours regularly across the world with guitarist William Coulter and also plays with an influential Russian rock group Aquarium, both live and on their studio albums.